For both women, early exposure to art was instrumental in their choice of career, or at least their decisions to study in the area. Hodge, a graduate of NCAD and UCD, was as a student captivated by the idea of provenance of art and the historical context in which works were painted or drawn. Niamh MacNally could have followed in the footsteps of other family members and joined the family’s optical business but chose another path, one of a very different visual nature. If a curator was once considered a stuffy role by the uninitiated, films like The First Monday in May, which featured Andrew Bolton of the Met Museum in New York, have helped highlight the interesting work of a curator. Hodge and MacNally are not lunching with Anna Wintour of Vogue, nor is Baz Luhrmann art-directing the opening of their exhibitions, but nor are they cooped up writing and researching, lost in an arcane world of scholarship. Says MacNally, “We are lecturing, meeting the public, family members of artists, other curators, travelling as couriers to other museums and galleries.” Hodge notes that as well as adding to the body of work about an artist, “Our job is to inspire and encourage others – students of art and art history, with our knowledge of the works in the National Collection.” Meet The Curator sessions and access to the study room are ways of imparting that knowledge. 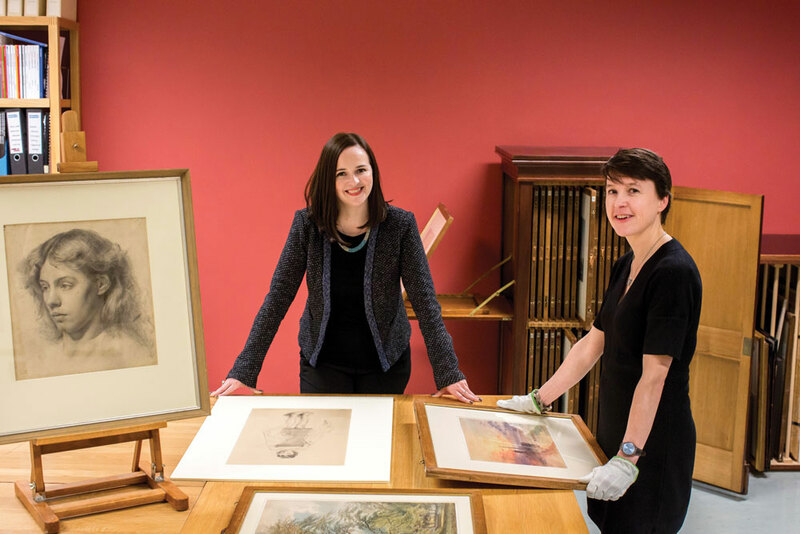 MacNally and Hodge also advise on the acquisition of works – especially those by female artists, to redress the gender balance – and also the acquisition of interesting pieces to close the gaps in the chronology of any collection. Hodge is not just an expert on Turner: she was responsible for the Edvard Munch and Leonardo da Vinci exhibitions among many others in her 15 years at the Gallery, but, at this time of the year, he is uppermost in her mind. “The interesting thing about our Turner pieces is that they span his early work as a teenager, until his latter years.” Her knowledge of Turner earned her a visit from Mike Leigh, director of the excellent 2014 film, Mr Turner. The Vaughan Bequest, January 1-31 2017. Admission free. The Art of Margaret Clarke RHA (1884-1964), May 10-August 20 2017. Research students and members of the public are welcome to visit the Prints & Drawings Study Room, 01 663 3535. Email drawings@ngi.ie. This article appeared in a previous issue, for more features like this, don’t miss our January issue, out Thursday, January 5.